"I didn't just come here to dance, If you know what I mean"
Nevermind (this album) (1991), Live At Reading (2009). Showing latest 5 ratings for this track. | Show all 596 ratings for this track. 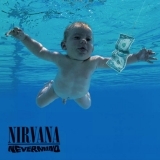 Related links: top tracks by Nirvanatop tracks of the 1990s, top tracks of 1991. Didn't used to like this one that much, but now I can't picture Nevermind without it!